Echo Show and Echo Spot give you the ability to add graphical elements to Alexa skills, creating an immersive voice experience. You can add images, text, and list navigation to enhance the customer experience across Echo devices with screens. Graphical elements render on Echo Show and Echo Spot in the form of list and body templates. The list template displays content as horizontal or vertical lists with predefined formats. The body template, on the other hand, displays content that can include text and images with predefined formats. There are five types of body templates and two types of list templates. You can find a detailed explanation of each template here. 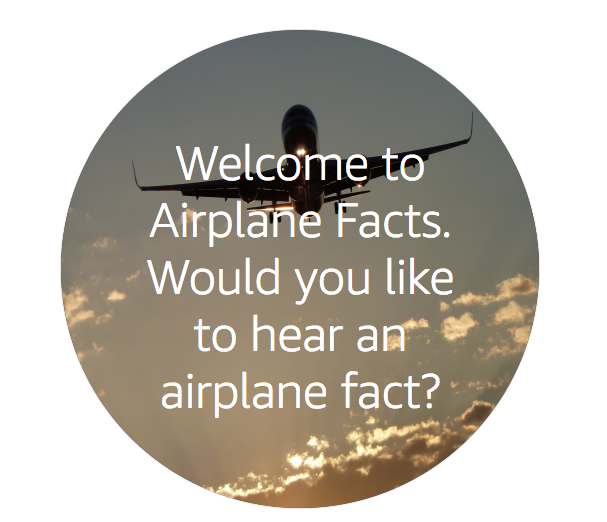 To help you start building skills for Echo devices with screens, we developed a new sample fact skill called Airplane Facts. In this post, we will walk you through the sample skill and provide a deep dive on building voice-first skills for Echo Show and Echo Spot using the new Alexa Skills Kit (ASK) Software Development Kit (SDK) for Java. You can learn more about the new features of the SDK here. You can include cards in your skill’s response to enhance the voice experience by displaying content on the home screen of the Alexa app. A simple card (that displays plain text) renders as Body Template 1 on Echo Show. A standard card (that displays plain text and image) renders as Body Template 2 on Echo Show. If you do not explicitly implement a body template in your skill code, but instead return a simple card in your skill’s response, the card will render on Echo Show in the format of Body Template 1. As seen in the code snippet above, the template object is passed to the addRenderTemplateDirective method of the ResponseBuilder. To build the Template object, we need to pass it an Image object. The code snippet below shows how to build the Image object, which is used to build the template object. The template also requires the TextContent that will be displayed. The text can be plain text or rich text. The code snippet below shows how to build the TextContent object. We can build the ListTemplate object in a manner similar to building of the Body Template object. The code snippet below shows how to build the List Template 1. The ListTemplate requires a list of ListItem objects, which can be built as shown below. Note: the background image in the list template is what is rendered in the background. However, each ListItem can also have an image. You can see how a ListTemplate gets rendered on Echo Show and Echo Spot here. 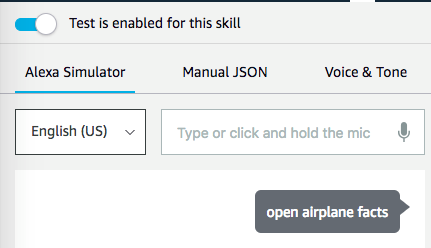 Because this skill supports display interface, you will have to enable the display interface in the Alexa Developer Console. 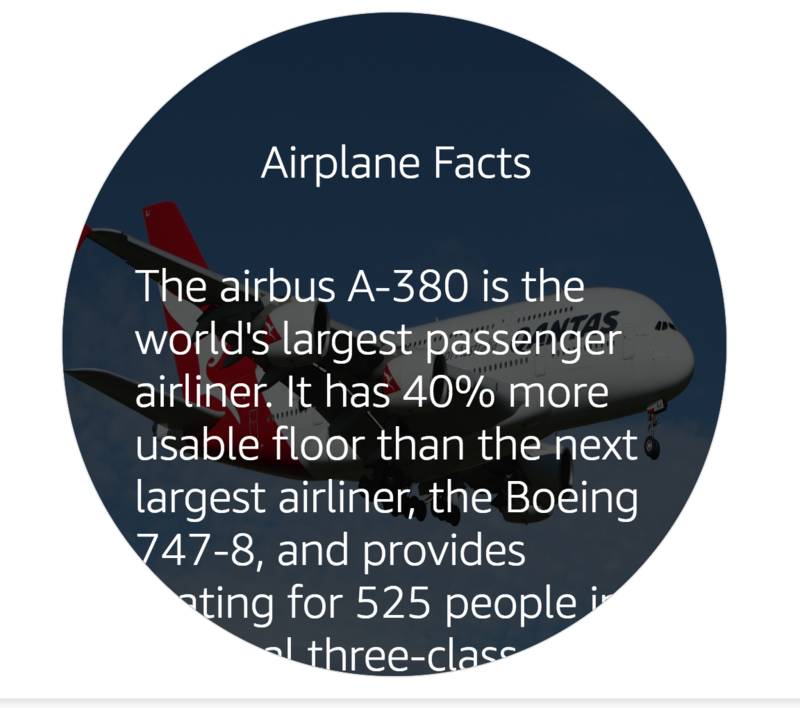 You can customize the images that you want to display along with the airplane facts. You will need to update these in the getImageMap() method of the FactsUtil class. Once the image URLs are set, you can test the skill using the Alexa simulator in the developer console. This will show you the approximation of how the skill displays the body templates on Echo Show and Echo Spot when a customer invokes your skill. This will render the Body Template 6 with the background image that you selected. 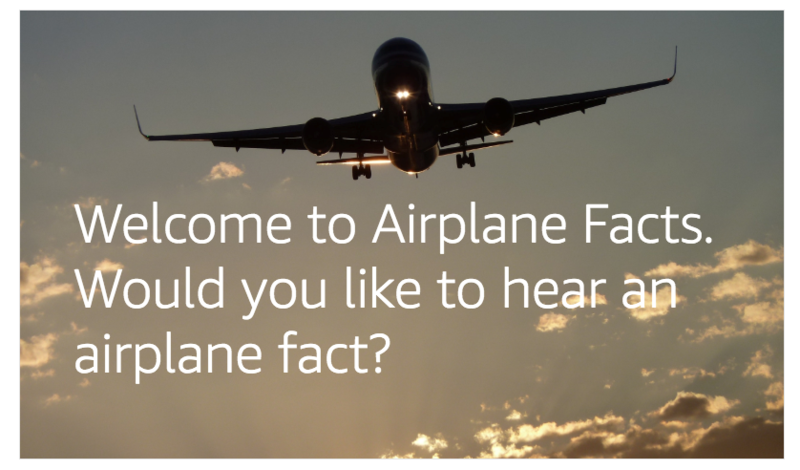 Similarly, you can use the Alexa simulator and “ask Airplane Facts for an airplane fact,” which will result in the Body Template 3 being rendered with the images that you added along with the facts, which are set in the FactsUtil class. 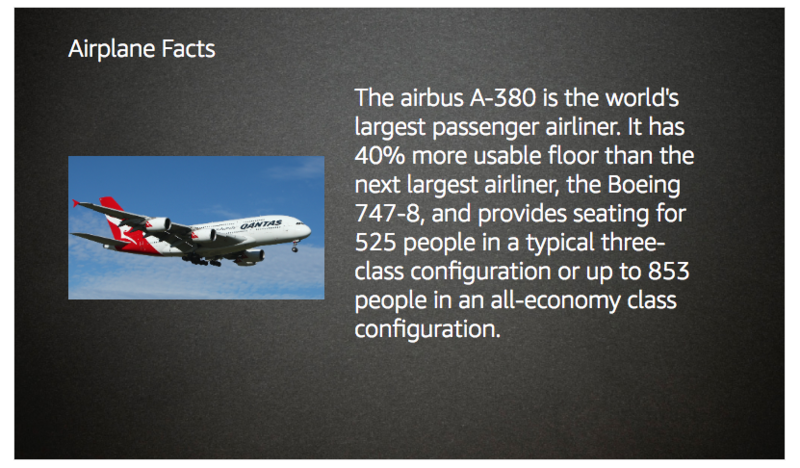 You can find these code samples and more in the airplane facts sample skill in the Alexa skill-building cookbook. Check out the render template documentation for more ways to create engaging Alexa skills for Echo Show and Echo Spot.